Teacher Dude's Grill and BBQ: Thanks to NSA even Angry Birds are watching you. Thanks to NSA even Angry Birds are watching you. 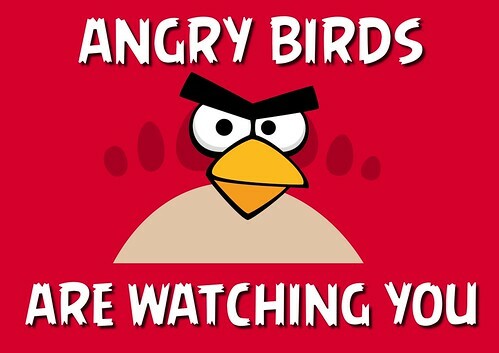 Thanks to NSA even Angry Birds are watching you., a photo by Teacher Dude's BBQ on Flickr. "The National Security Agency and its UK counterpart GCHQ have been developing capabilities to take advantage of "leaky" smartphone apps, such as the wildly popular Angry Birds game, that transmit users' private information across the internet, according to top secret documents."